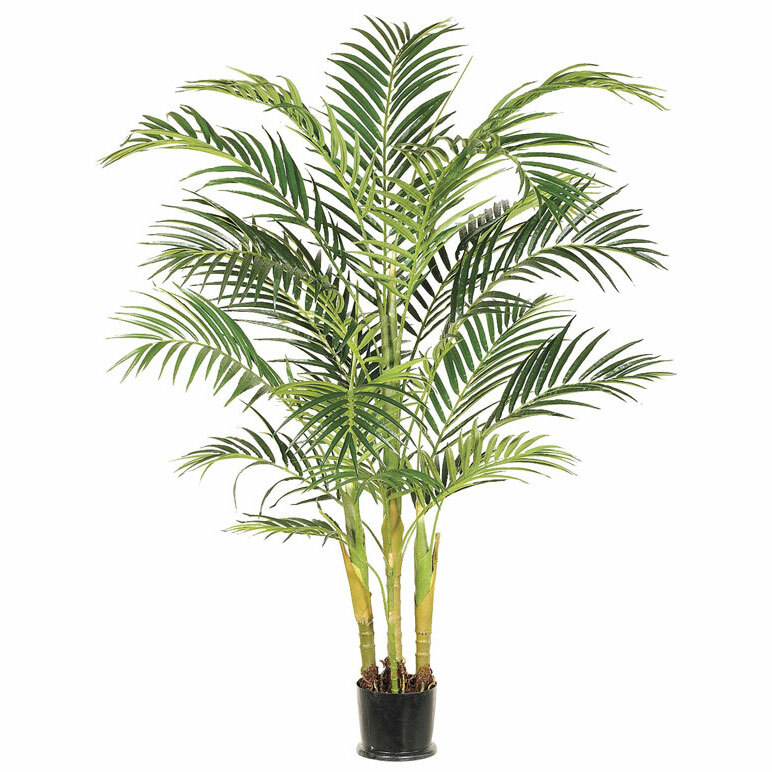 Stunningly beautiful, this 6' tropical areca silk palm tree with pot will never need a drop of water or pruning. A native of Madagascar, this gorgeous palm will have you dreaming of hot balmy weather no matter what time of year. For those that want an authentic looking palm tree without the work, this beauty is exactly what you are looking for. Crafted with quality and detail in mind this natural beauty will add a small amount of paradise to any room in your home or office. And... You'll get to cherish it for a lifetime!